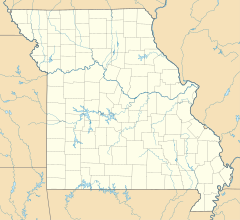 The 2018 PGA Championship was the 100th PGA Championship, held August 9–12 at Bellerive Country Club in Town and Country, Missouri, a suburb west of St. Louis. This was the second PGA Championship (1992) and third major (1965 U.S. Open) held at Bellerive. It was also the last to be held in the month of August. Just before the 2017 tournament, the PGA announced that the Championship will move to May in 2019. Brooks Koepka won his third career major title, finishing two strokes ahead of runner-up Tiger Woods. Koepka's 72-hole total of 264 set a PGA Championship record. The 2018 PGA Championship was the 35th overall and 28th straight PGA Championship to be televised by CBS, with first and second round coverage provided by Turner Sports for the 28th year. In the UK and Ireland, the Championship was being streamed online by Eleven Sports. Graham DeLaet and Louis Oosthuizen (9) did not play due to injury. Lee Westwood did not play due to injury. Thomas Bjørn did not play due to a back injury. Gary Woodland holed five birdies on the back nine to lead by one from Rickie Fowler. A total of 47 players ended the opening day under par. Play was suspended Friday afternoon at 3:35 pm due to dangerous weather with half of the field still on the course. Play was set to resume Saturday morning at 7 am local time with the third round to follow at about 11:15 am. Gary Woodland was the clubhouse leader at 130 (−10), which set a PGA Championship record for low 36-hole score. Two players, Brooks Koepka and Charl Schwartzel, shot record-tying rounds of 63. Brooks Koepka's 66 gave him a two-shot lead as he attempted to become the first player since Tiger Woods in 2000 to win both the U.S. Open and the PGA Championship in the same season. Brooks Koepka duplicated his Saturday score of 66 to win by two strokes ahead of runner-up Tiger Woods, who fired a 64 in the best final round of his career in a major. Koepka became the fifth American player to win three majors before the age of 29, joining Jack Nicklaus, Jordan Spieth, Tom Watson and Woods. His 72-hole score of 264 set the PGA Championship record (previously 265 set by David Toms in 2001) and equaled the lowest total in major championship history (set by Henrik Stenson at the 2016 Open Championship). ^ Harig, Bob (August 10, 2012). "PGA Championship to move from August date to May in 2019". ESPN. Retrieved August 12, 2017. ^ Gittings, Paul (August 12, 2018). "PGA Championship: Brooks Koepka holds off Tiger Woods to triumph". CNN. Retrieved August 12, 2018. ^ Crouse, Karen (August 12, 2018). "Brooks Koepka Holds Off Tiger Woods to Win P.G.A. Championship". The New York Times. ^ Croke, Ruaidhrí (August 10, 2018). "Streaming the US PGA on Eleven Sports: What's the verdict?". Irish Times. Retrieved August 10, 2018. ^ Reid, Philip (August 8, 2018). "How to watch the US PGA Championship on television". Irish Times. Retrieved August 10, 2018. ^ Murray, Ewan (August 9, 2018). "Not on Sky, BT Sport or free-to-air: a guide on how to watch the US PGA". The Guardian. Retrieved August 10, 2018. ^ "PGA Championship 2018: Course". PGA of America. Retrieved August 10, 2018. ^ "2018 PGA Championship: Field List, Players". PGA of America. July 31, 2018. Retrieved August 1, 2018. ^ "How to Qualify for the PGA Championship". PGA of America. July 30, 2018. Retrieved August 1, 2018. ^ Casey, Kevin (July 24, 2018). "Graham DeLaet opts for back surgery, out 6-12 months". Golfweek. ^ a b Brzezinski, Alec (August 9, 2018). "PGA Championship 2018: Louis Oosthuizen withdraws just before tee time". Sporting News. ^ a b "Lee Westwood withdraws from next week's PGA Championship with injury". ESPN. Associated Press. August 4, 2018. ^ a b "Thomas Bjorn withdraws from PGA Championship with back injury". ESPN. Associated Press. August 8, 2018. ^ a b c d e f g "PGA Championship: Leaderboard". ESPN. August 9, 2018. Retrieved August 9, 2018. ^ Jurejko, Jonathan (August 9, 2018). "US PGA Championship: Gary Woodland leads ahead of Rickie Fowler, Ian Poulter, Justin Rose & Dustin Johnson". BBC Sport. Retrieved August 10, 2018. ^ Murray, Ewan (August 9, 2018). "Gary Woodland leads Rickie Fowler after Tiger Woods fightback at US PGA". The Guardian. Retrieved August 10, 2018. ^ Murray, Scott (August 10, 2018). "US PGA Championship 2018: second round – as it happened". The Guardian. Retrieved August 15, 2018. ^ Harig, Bob (August 10, 2018). "Gary Woodland matches 36-hole record as PGA field goes low". ESPN. ^ Murray, Scott (August 12, 2018). "US PGA Championship 2018: third round - as it happened". The Guardian. Retrieved August 15, 2018. ^ Murray, Scott (August 13, 2018). "US PGA Championship 2018: Koepka sees off Woods to clinch win – as it happened". The Guardian. Retrieved August 15, 2018.